As one of the world’s largest financial and cultural centers, London provides a rich environment in which to study and learn. 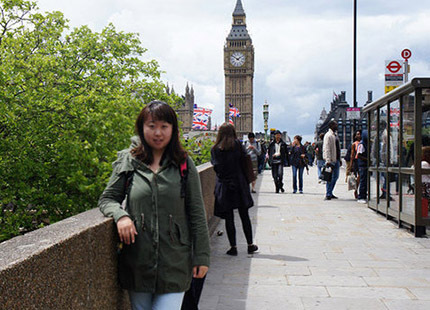 On this co-sponsored summer program, participants directly enroll at the London School of Economics and Political Science, one of the premier schools for the study of economics, political science, and finance. Participants take courses alongside other international students in a rigorous academic setting. Note: Indiana University students who wish to participate in the LSE Summer School must apply through the IU Office of Overseas Study by the IU application deadline. IU does not permit students to apply directly to LSE; our office will not sign program approval forms nor register students in a non-IU program placeholder course. Course Equivalencies: Please see the London-LSE course equivalency list for program enrollment requirements and a list of IU course equivalencies that students have received in the past. Note: Indiana University will not support plans for students to obtain independent housing. *Program fee reflects discounted for IU students after benefit of 10% tuition reduction. Based on published LSE materials. Indiana University cannot guarantee the prices charged by LSE and is not responsible for any price increase or change.